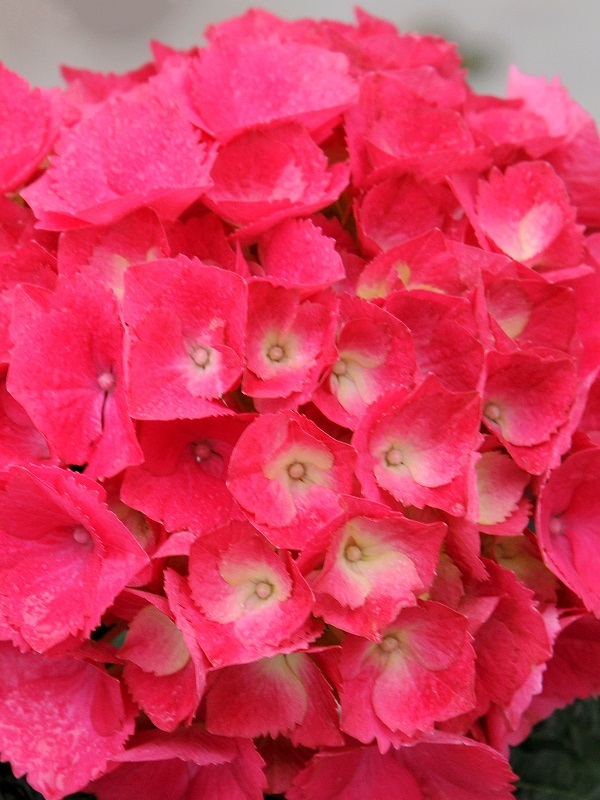 Big rounded heads of bright pink-red flowers set against shiny green foliage, makes this a sought-after hydrangea. Flowers appear from spring to autumn. Ideal for edging, containers, garden beds and pots. Also makes a great long-lasting cut flower. Grow in a sunny to partly shaded position. Prefers well drained, humus-rich soil. Requires regular watering. Pruning is not usually needed, but may be pruned immediately after flowering.